Bobbie is one of our Orthodontic Therapists, she qualified from the University of Central Lancashire with Distinction in December 2011. 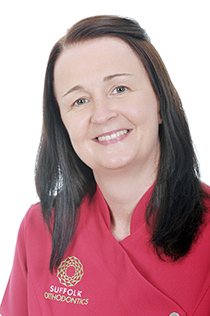 Bobbie qualified as a general dental nurse in 2001 and has worked in both general practice and Orthodontics. Bobbie joined Suffolk Orthodontics in 2008 as a qualified dental nurse with specialist knowledge of Orthodontics and has since gone on to qualify as an Orthodontic Therapist. She is a keen traveller of the world and enjoys music events, football, cricket and Formula 1.